In 2001, most people filed their taxes with a pen and a stamp. Today, that's the rarity. Since the millennium, the rate of e-filing IRS forms has grown from about 30 percent of filers to about 80 percent. That growth is slowing down now, simply because increasingly fewer people still cling to paper forms, but the number of e-filers continues to rise. So if you insist on filing a paper return, you're rapidly becoming an anomaly. 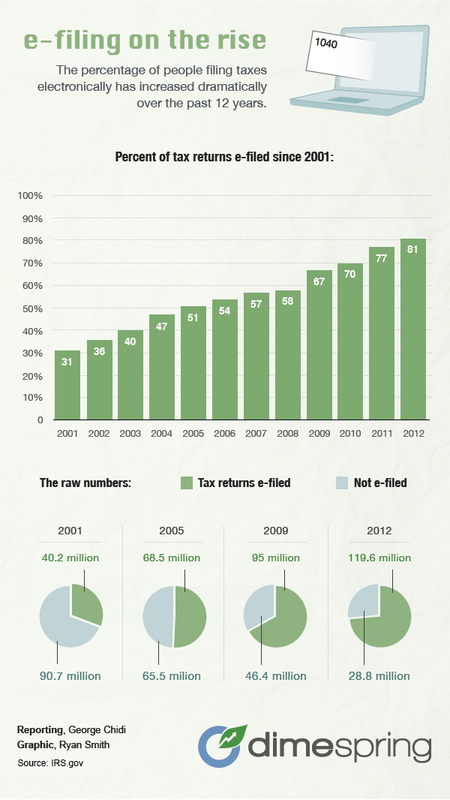 Here’s a look at the rise of e-filing over the past few years.